Requires purchase of a Maestro Multi-Location Dimmer. The Lutron Maestro 600-Watt Companion Dimmer can help create a romantic mood or a casual atmosphere for family meals by enabling you to dim the ambient lighting. The lights can also be turned up for bright lighting during preparation and cleanup. 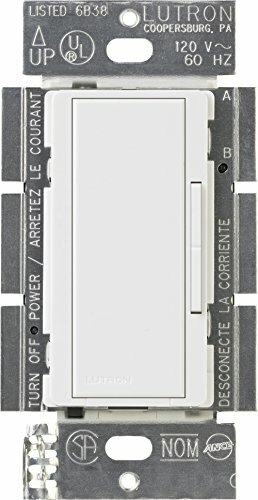 This companion dimmer allows you to dim from either end of a hallway and can be connected with up to 8 other companion dimmers (sold separately). Coordinating wallplate not included.